This NY Lawyers Guide is designed to be the best resource to help you find a skilled attorney in the Metropolitan Area, specializing in your specific needs. We know the value of being local, and we deliver the best reference for your legal requirements. Find an attorney who specializes in your case. Find a lawyer who is conveniently located near your home or office. Explain when you need to hire a lawyer. Find an attorney you can afford. Know what you should expect from your lawyer. Understand what your attorney should expect from you. 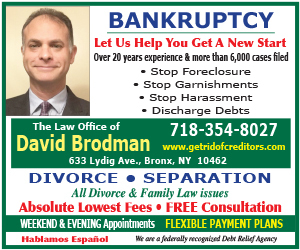 The attorneys and law firms highlighted and listed here are some of the finest legal minds available in the New York area. One will surely be perfect for your case, and we are here as your resource to help make sure you find that attorney.